and get a license Aml Pages FREE! How to save web pages and text to Aml Pages organizer from Internet Explorer, Mozilla Firefox, Google Chrome, MS Word, OpenOffice, MS Outlook and etc. applications. (3.7M). How to grab screenshots from any applications to Aml Pages documents (3.9M). How to save from Internet Explorer toolbar with IE2Aml plugin (1.4M). 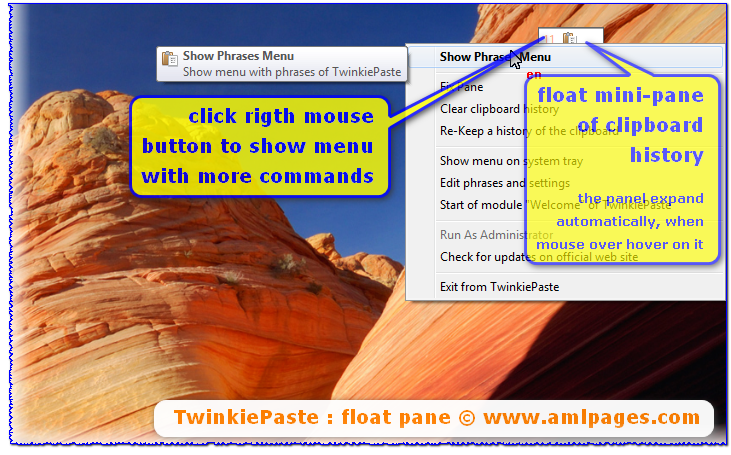 How to save web pages and fragments from Mozilla Firefox with Aml Assist pane (1.1M). How to insert date and time in custom format to Aml Pages document (685K). How to quickly copy entire text to the clipboard from the Aml Pages (without command "Select All"!)(4.8M). How to expand text or tree on Aml Pages quickly? (348K). How to insert nodes list (alphabetical or dates) to tree? (495K). How to export any data from Aml Pages documents to text files (plain text or RTF), web pages, directory tree and etc ( 11M). How to create CHM-files (Windows help format) from Aml Pages document via Aml2CHM plugin (1.6M). "Aml Pages - complete desktop tool designed to help users manage and organize their daily thoughts in a comprehensive and intuitive environment" (© by softoxi.com). Make a video tutorial and get a license Aml Pages FREE!